Beat the Christmas rush and simplify your holiday gift shopping with the Villa Del Conte Minusculo gift boxes. These elegantly designed gift boxes are filled with delightful Villa Del Conte chocolates that your clients, friends and loved ones will surely enjoy. 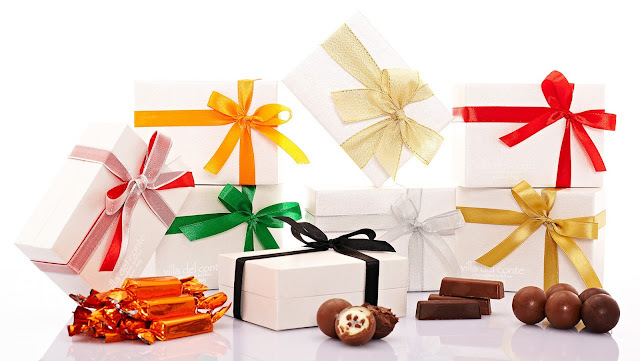 The Villa Del Conte Minusculo gift boxes come with either 5 pieces of pralines at P295, or 6 pieces of pralines at P340, and are available for advanced orders. Get these Minusculo gift boxes at all Villa Del Conte stores in Greenbelt 5, Century City Mall, Shangri-La Mall, Resorts World Manila, SM Megamall and Robinsons Magnolia or contact 893-2575. To know about Villa Del Conte and its other tempting chocolate creations, follow Villa Del Conte on Facebook @VillaDelContePh, Twitter @villadelconte, and Instagram account @VillaDelContePh, or visit www.villadelcontecioccolato.com.